Living away from family during the holidays can be tough. And while luckily we get to go home for Christmas this year, the distance kind of forces you to find ways to bring a little extra joy in to fill up the little spaces of the people you are missing and still make it magical. 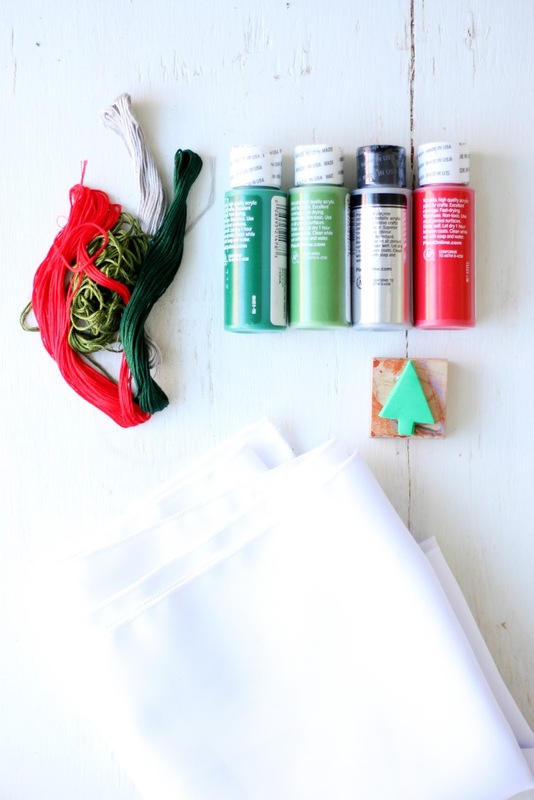 Baking helps, and decorating, but what especially works for me is doing crafts that make the holiday personalized and filling my home with scents that can help uplift my feelings and remind me of the special moments that make the holidays so special. 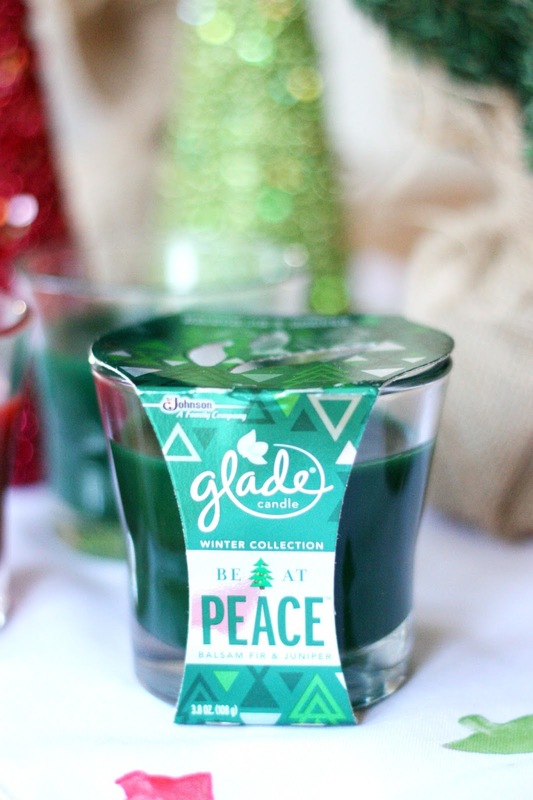 So, today we are teaming up with Glade® to bring you this fun and festive table runner project that is perfect for pairing with the new Glade® Limited Edition Winter Collection. 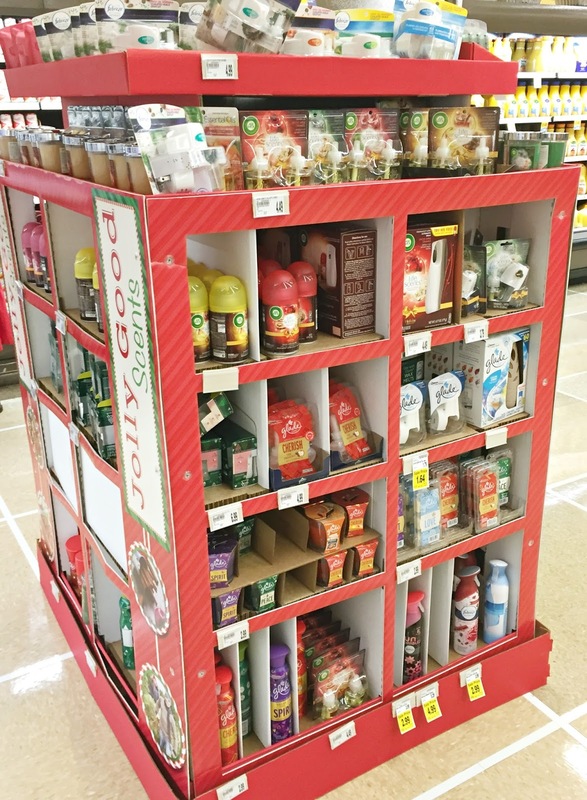 This fun collection is full of wonderful and on-trend fragrances with names that help encapsulate the iconic spirit of the holiday season. 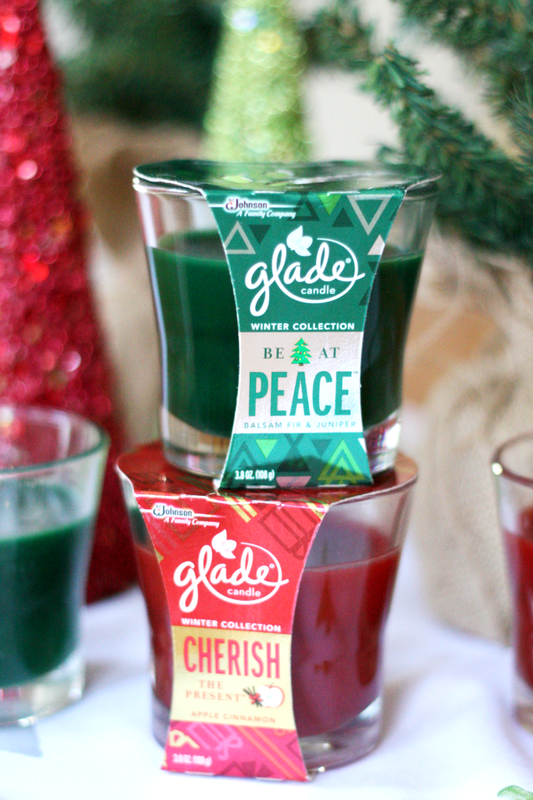 And since you don’t just smell Glade®, you feel Glade®, having these fragrances in my home has been a real catalyst in helping me feel the way I want to feel this holiday season: being at peace, and cherishing the season. 1. 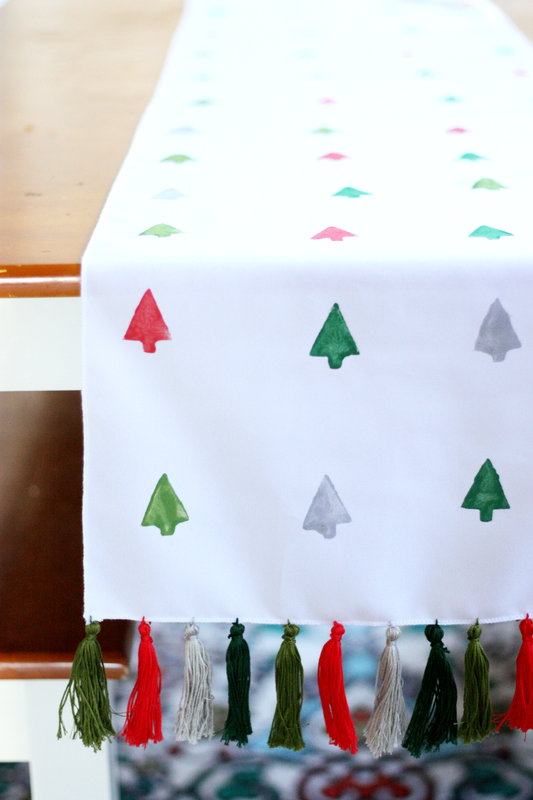 Stamp your table runner! I did this free-hand and liked the result, but if you like more precision then that you can measure and mark off your stamp placement before stamping. 2. Make your tassels. 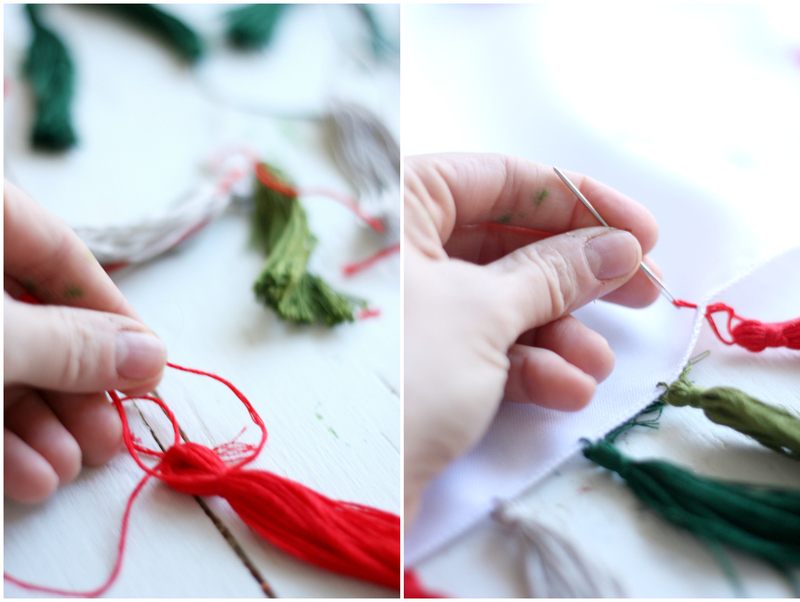 Using embroidery thread that is already looped together makes this so easy. Simply tie a string around the top of the loop to hang the tassel, and using a second string, tie it off about half an inch below the top around the loop to hold it together. Then, cut the loop through the middle. Using this technique, every loop makes two tassels. 3. 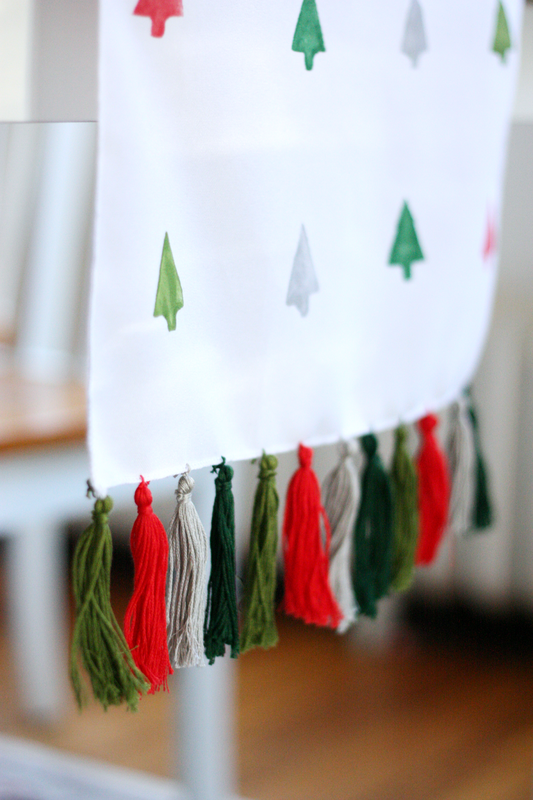 Attach your tassels along each end by threading them through and tying them off. That’s it! 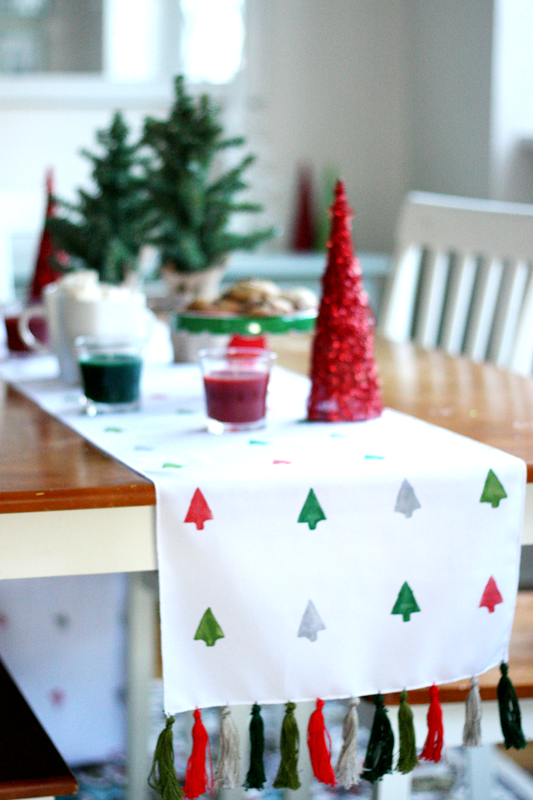 Literally three simple steps and you’ve got a perfect table runner that makes your holiday dining room your own! Last thing to do, add your fragrances. Not only did I fall in love with the names of these two jar candles, but they are the quintessential holiday scents in my book. Nothing makes me feel more like the holidays are here like smelling balsam fir & juniper, and nothing makes me feel like cozying up with friends and family like apple cinnamon. Along with the scent, I love the reminders that come with these jar candles. 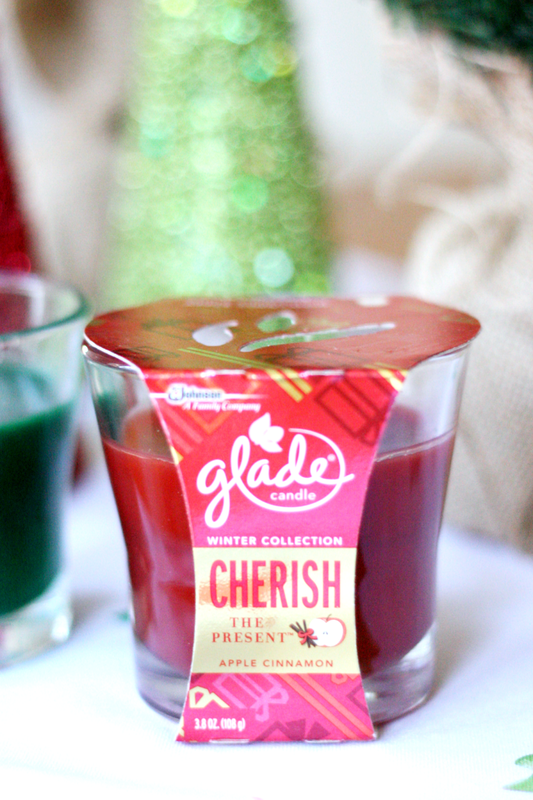 Being able to CHERISH THE PRESENT™ can be really tricky in our fast-paced lives, but the smell of apple cinnamon throughout the house evokes such strong memories of togetherness that you can’t help but want to slow down. 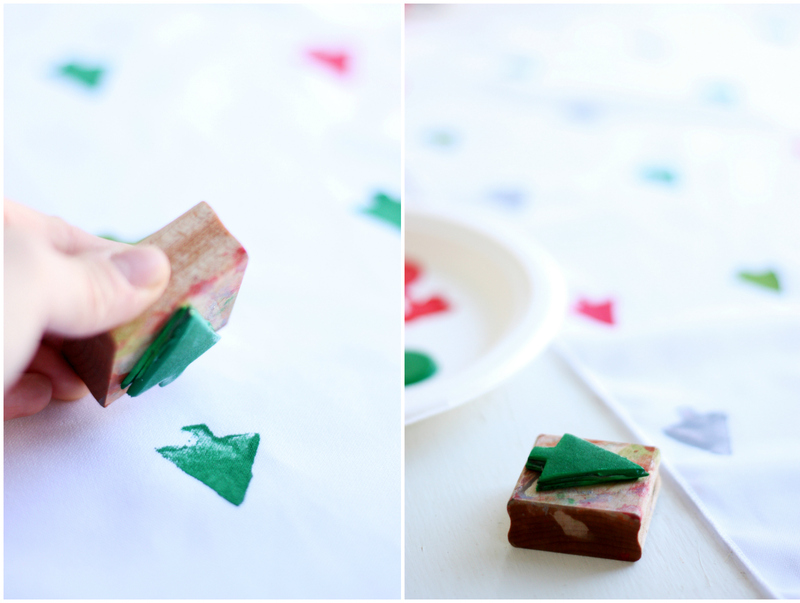 How are you bringing joy into your home this holiday season? We’d love to hear! 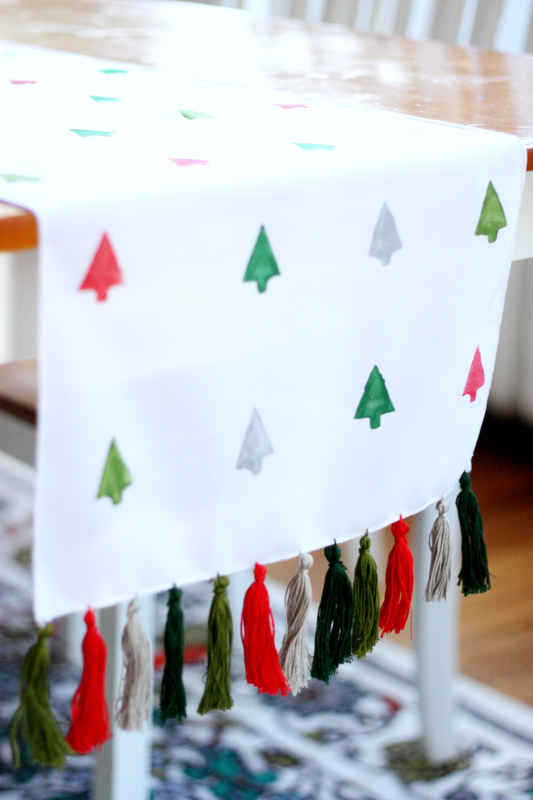 This table runner is so cute! I must try doing something like this ASAP.